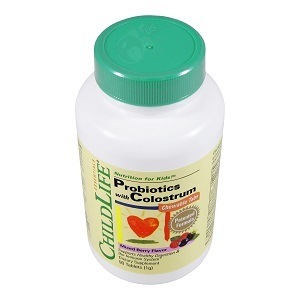 Childlife Essentials introduced a unique, patented formula, Probiotics with Colostrum Powder, many years ago which has proven itself as one of the best immune and digestive support supplements available. 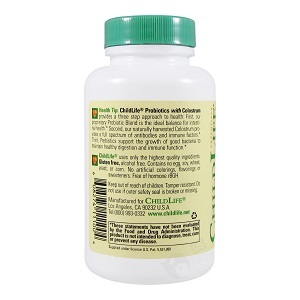 This incredible formula has become so popular we were prompted to also provide children this formula in a chewable tablet, in addition to our powder formula. Probiotics with Colostrum, both powder and now in chewable form, are the only products available combining these highly potent ingredients for a three prong approach to health! 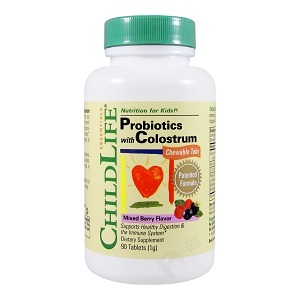 Probiotics with Colostrum contains the most stable strains of probiotics which include: Lactobacillus acidophilus Bifidobacterium breve & Bifobacterium longum, for optimum intestinal health & immune system support. Prebiotics: FOS (fructooligosaccharides) plus Rice Tocotrienols help support the growth of good bacteria to improve and maintain healthy digestive function. 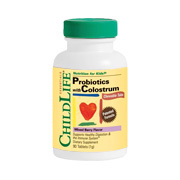 Colostrum is the only supplement you can take that provides a full spectrum of antibodies and immune factors. It is nature’s first, and finest, food for the immune system. Childlife uses the finest bovine Colostrum and only from the first and second milkings after calving, which are the richest in immunoglobulins, growth factors, protein and peptides. * Daily value not established. ** At time of manufacture. 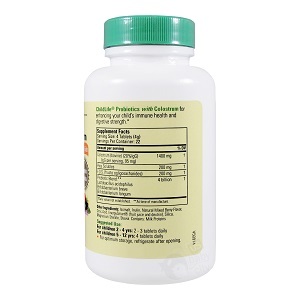 Probiotics Plus Colostrum - 90 chewable tabs is shipped in a discrete, unmarked package. Orders are processed immediately and usually takes about 3 to 5 working days to be received. We do ask that you try it for 2 to 3 weeks to feel the full effects. Any information received is used only for order processing and shipping purposes. Your information, such as e-mail address, will never be disclosed to a third party.